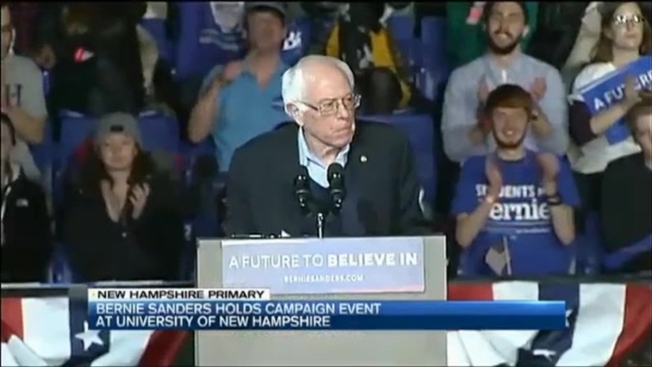 Bernie Sanders Draws Animated Crowds in N.H. The events come the day before the New Hampshire primary. Bernie Sanders is drawing animated crowds in the final hours before voting begins in New Hampshire. "They stole the country," the man shouted, using an expletive to describe the Bush administration. "Well, I wouldn't phrase it exactly like that but it's close to true," replied Sanders. Sanders is scheduled to attend a concert at the University of New Hampshire in Durham on Tuesday night.